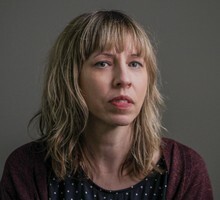 Ann Suckow is the Digital Production Manager for Oregon Public Broadcasting. Ann started her career at MTV Networks in 1997 and went on to work on VH1's hit series, "Behind the Music." After almost 15 years of television production in Los Angeles, Ann moved to Portland. Ann has been at OPB since 2010, working on national and local productions. Ann won a regional Emmy Award for her work on PBS "Time Team America,The Search for Josiah Henson." Ann is a graduate of San Jose State University with a degree in radio and television film. Our international undercover investigation reveals what really happens to America's discarded TVs, phones and computers. So...what is Jazz? Of course John Coltrane is "jazz," but what about Kendrick Lamar? Can they both be jazz? This video explainer describes that jazz is not just a genre, but it's a meta-genre which encompasses a universe of sound. The jazz universe ... a visual history of the evolution of jazz music in the world, and how the expansion continues without boundaries. See previously unknown photos of Duke Ellington, Ella Fitzgerald, Louis Armstrong and more performing during the prime of Portland's Jazz Town. Over the years, Portland has seen some extraordinary weather. And sometimes those moments were captured forever — on film. Look back at some great images of Bridge City's historical weather events. As the year comes to a close, Oregon Art Beat producers look back at some of their favorite stories. We look back at some of our most memorable interviews with an eclectic mix of literary masters.